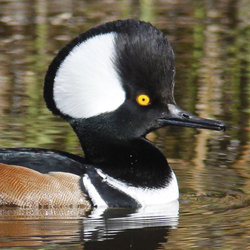 The hooded merganser, Lophodytes cucullatus, is an extraordinary duck. 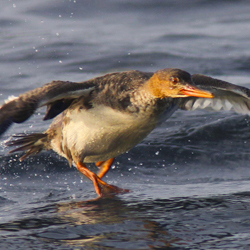 Like other mergansers, they are sawbills and are highly predatory, using their powerful legs and long, thin, serrated bills and to pursue fish underwater. 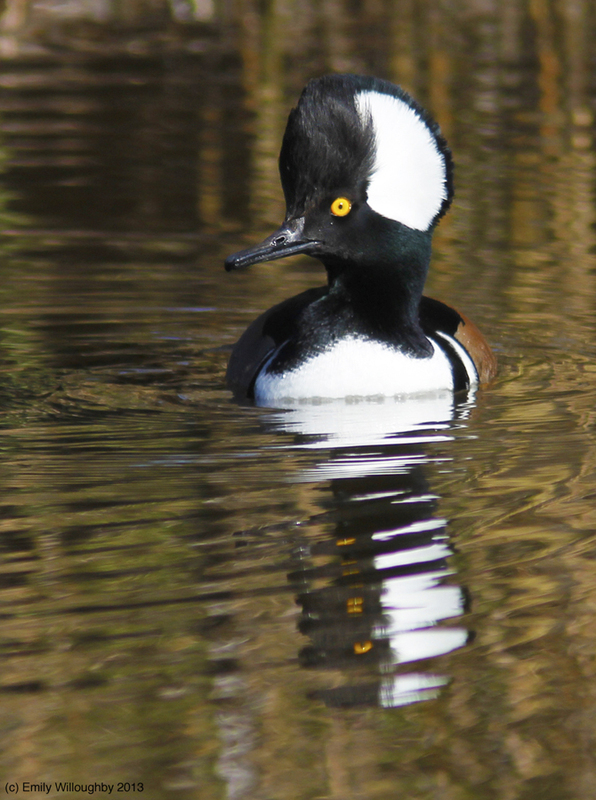 The hoody is unique among mergansers in having a very large, multicolored headcrest, which can be raised or lowered as way of communication and sexual signaling between individuals.